I'm a huge fan of Suzy Plantamura, especially the paintables she creates for Simon Says Stamp. Her illustrations are always so fun and whimsical! Plus, there is something so nice about having a card all laid out if you just want to sit and color. Which, let's be honest, I want to do. 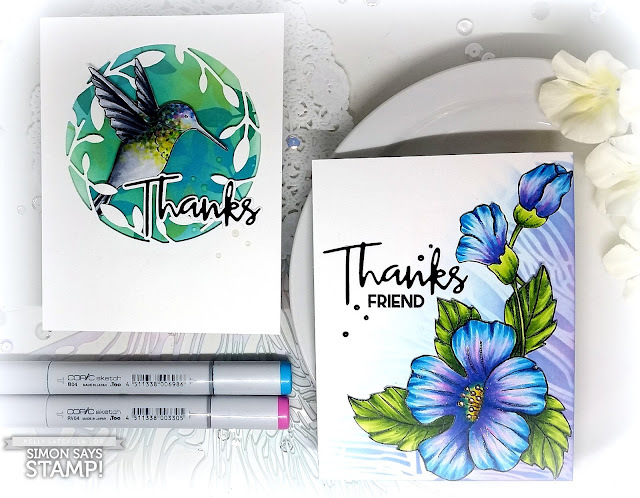 I loved this paintable from the Mothers and Florals set but I wanted to create two cards with it. This let me make room for a sentiment as well as play a bit with the layout. I split the images apart and made my two cards. Today we're going to be making the hummingbird card. Which is a bit different for me but still pretty clean and simple. I did a bit of Copic coloring then set it off with the bright white die cut frame. I kept the card simple by only letting a bit of my busy background peek through. If you'd like to see how I made the flower card be sure to stop back tomorrow for that video. WOW! Talk about bringing life to a stamp with your amazing coLoring stunning job! These are two great cards! What a wonderful idea to split the stamps. Thanks for the videos (and the cards, of course) that demonstrate your creativity. 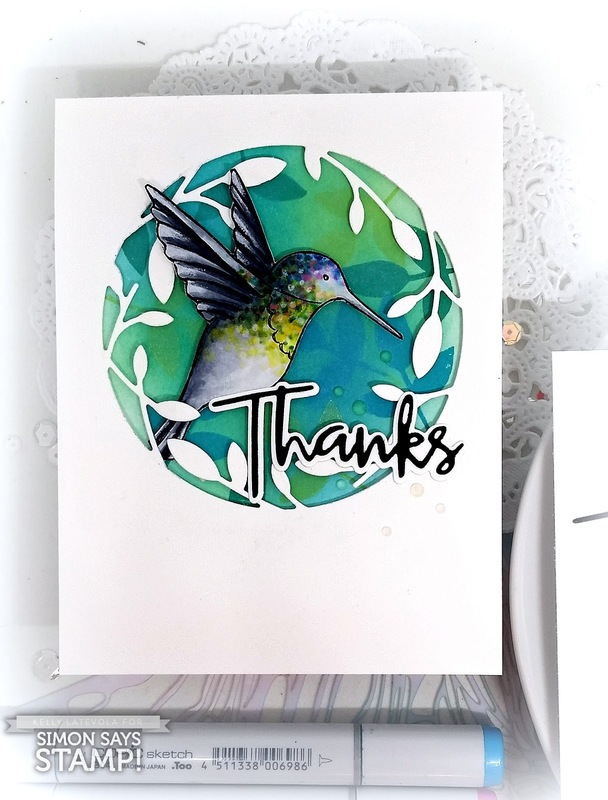 I just love this beautiful hummingbird and your card is gorgeous! 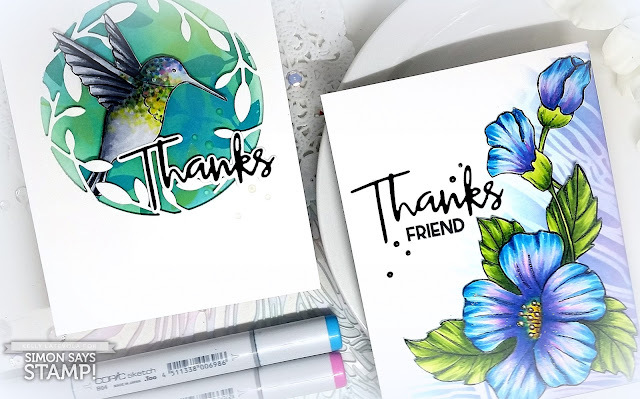 You certainly have a talent for giving life to your cards and they are always so pretty!! Good luck with your toddler - made me smile! PS. I love your nails! I always enjoy watching your videos, Kelly! Great technique - I love the stippling to mimic the look of feathers. I'll have to try the added pencil crayon detail. I found it interesting that you were able to add more Copic colour after adding it to the image.